Valuable insights designed to helpyou get more out of your professional and personal life through simple, easy to adoptlife lessons. If you’re keen to enjoy a better quality of life at work and at home, sitback and join the conversation with your hosts, Peter Kakos and Rik Rushton. This week, as we move into the second quarter of 2019, Rik and Peter share their insights and strategies for reflecting on the year so far. This week, Rik and Peter are joined by football legend Nathan Buckley to talk learning, growth and leadership. This week, Peter and Rik sit down with Sam Harper to talk Cricket, and preparing for success. This week, we are joined by a very special guest as Rik recounts the writing and publishing of his book "The Power of Connection - How to Become a Master Communicator in Your Workplace, Your Head Space and at Your Place"
This week, in the first of a two-part series, Rik and Peter are joined by David Knox, one of the worlds leading real estate traners, to discuss key strategies for maintianing success in a tough market. 02 - Bringing the balance to your work and life! 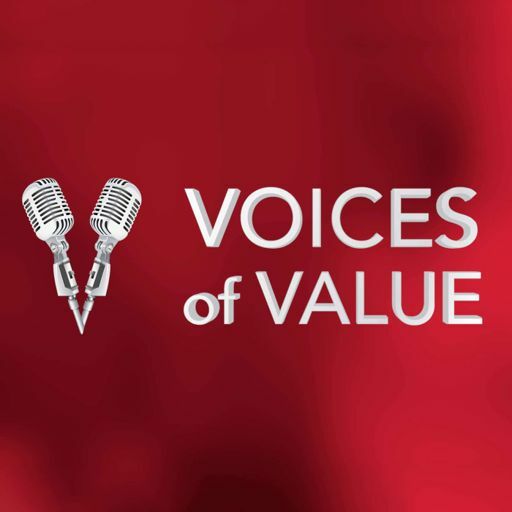 This week on Voices of Value, Peter and Rik discuss work / life balance, the importance of making delibirate choices, and how building positive routines leads to positive outcomes. Voices of Value Copyright 2018 Rik Rushton &amp; Peter Kakos.